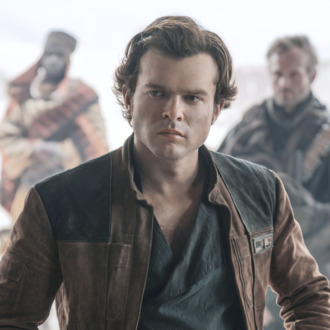 There’s been a slight disturbance in the force, and apparently it’s been keeping people from going to see Solo: A Star Wars Story. Deadline is reporting that the film is lagging behind box office estimates so far this weekend and might not turn a profit. This is a very, very bad thing for a movie to not do. While the reviews for the film have had plenty of positive things to say, there are a few other factors at play here. First, it’s Memorial Day weekend, so people might be deciding to go outside and do whatever weird and unnatural things people do when they aren’t consuming media on screens. It could also be that people are choosing to see Infinity War or Deadpool 2 instead, because they think there’s a rule about seeing movies in the order they came out (there’s not). There’s also some speculation that fans may be fatigued on Star Wars since The Last Jedi, like, just happened. Maybe we just can’t make time for a new Avengers movie every week and multiple trips to galaxies far, far away. But hey, maybe it’ll rain tomorrow and everyone will go see Solo and everything will be fine.